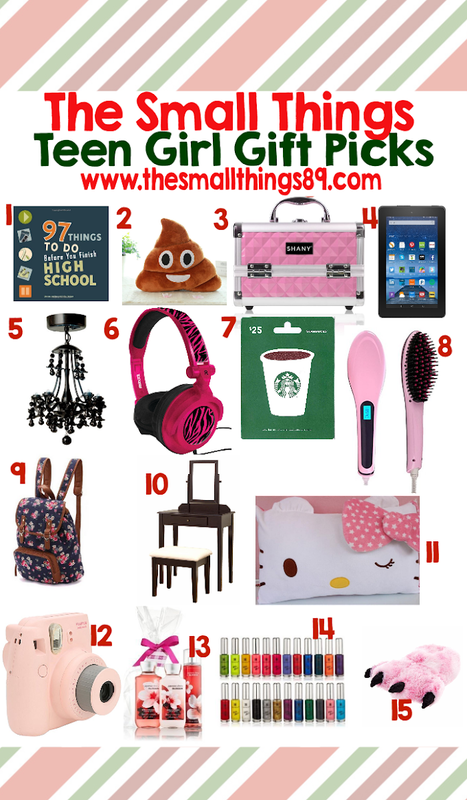 Welcome to my 2016 Spring/Mother's Day Gift Guide! HomeWelcome to my 2016 Spring/Mother's Day Gift Guide! Welcome to my 2016 Spring/Mother's Day Gift Guide! 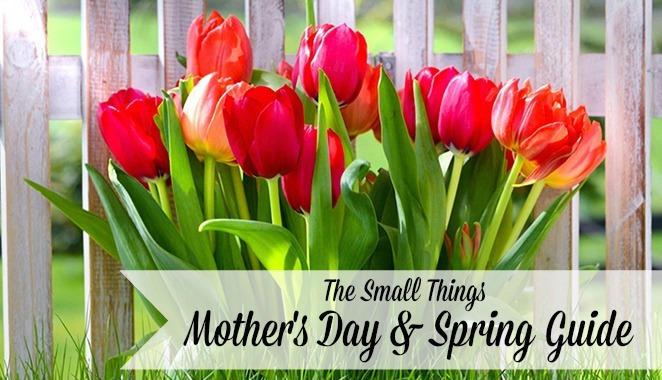 This guide will have products added all the way up until Mother's Day as I receive them! I am so thrilled to share these great picks with all of you! 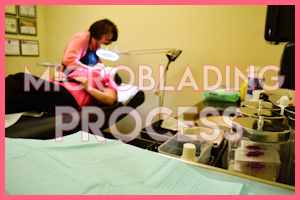 Please note that some items listed are not just products but services as well. Some items may include affiliate links and clicking and purchasing via that link will help me earn additional income. The list may be small at first, but I add items as I go! Check out the products below to get started! 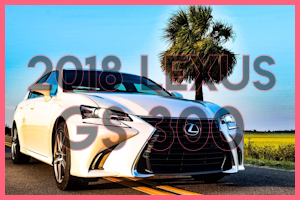 If you would like to be added in my guide, visit this post to see more info. B Awesome B You. 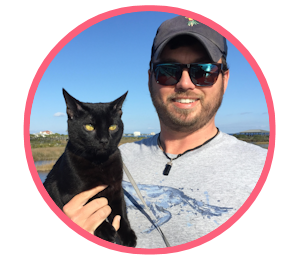 This is out of the box for my guide, however doing fun things with our children is very rewarding. I love having fun with my daughter, and B Awesome B You is a great channel for this! B Awesome B You is a YouTube Channel where they encourage learning, creative thinking, imaginative play, and positive social interaction through toy skits, unique DIY projects, and even science projects! Check out their channel to see for yourself! ClaudiaG Collection- ClaudiaG Collection is a great idea for mom or that special lady in your life this Mother's Day. Who are they? It is a great place to shop for new Spring Fashion too! Check out these items below for yourself! From left to right listed. The links to purchase are below! Visit ClaudiaG Collection and check out how to be a consultant today! ZUS USB Smart Car Charger and Car Finder- ZUS is a USB car charger and car finder! This item is so cool. You plug it in and not only charge your phone, but download the free ZUS App and connect like the instructions say. 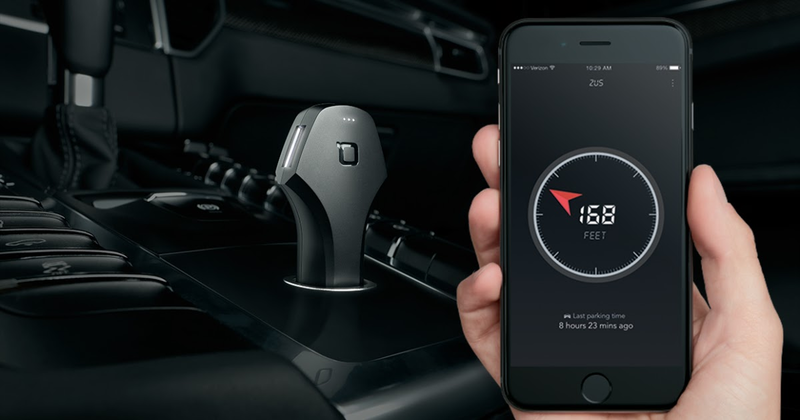 ZUS automatically remembers where you've parked your car when your engine turns off. When you need to find your car, simply open the ZUS app. Further, it is outdoor-friendly. No cellphone signal is needed. Purchase on Amazon for $35.99. Prices are subject to change at any time. 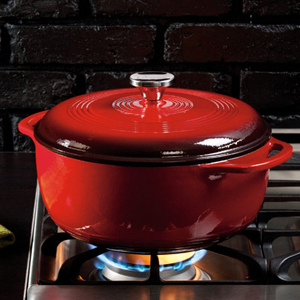 Lodge Cast Iron- Lodge Cast Iron should be in your gift giving this Mother's Day for several reasons! They have a variety of products that the special lady in your life is sure to love! Founded in 1896 and still family-owned, Lodge produces the largest selection of American made cast iron cookware. The Enamel Cast Iron Dutch Ovens and Cassroles are a hit! Check them out for yourself! Don't want to shop online? Visit a store near you. 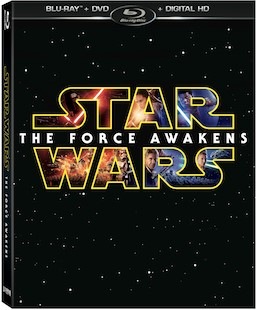 Star Wars: The Force Awakens on Digital HD 4/1 & Blu-ray Combo Pack and DVD. Star Wars: The Force Awakens is coming out just in time for Mother's Day. Thirty years after the defeat of the Galactic Empire, the galaxy faces a new threat from the evil Kylo Ren (Adam Driver) and the First Order. When a defector named Finn crash-lands on a desert planet, he meets Rey (Daisy Ridley), a tough scavenger whose droid contains a top-secret map. Together, the young duo joins forces with Han Solo (Harrison Ford) to make sure the Resistance receives the intelligence concerning the whereabouts of Luke Skywalker (Mark Hamill), the last of the Jedi Knights. Purchase on Amazon HERE today. Prices are subject to change at any time. Teleflora- You can never go wrong with flowers! Teleflora has an assortment that she will love! Each of these gorgeous Mother’s Day bouquets are professionally-arranged and hand-delivered by a local florist with love and care to capture the hearts and appreciation of every mother, grandmother, aunt, sister or friend. Check out their Mother's Day Arrangements. Tastee Apple- Is she a foodie? Tastee Apple will not dissapoint! Over the last 40 years, Tastee has sold over 250,000,000 apples with candy, chocolate, caramel, and other toppings. The only company in the industry certified by the Safe Quality Food Institute, all of the apples go through a unique, seven-step rating process to guarantee the quality and freshness of the fruit. Perfectly-ripe apples are “sticked” in made-from-scratch, small-batch, kettle-cooked caramel or a candy coating. After the apples cool, they are rolled in gooey toppings like milk, dark or white chocolate and then rolled in fresh peanuts, pecans, cookies, or pretzels. The candy and caramel apples are then carefully packaged, stored and shipped to stores throughout the country. 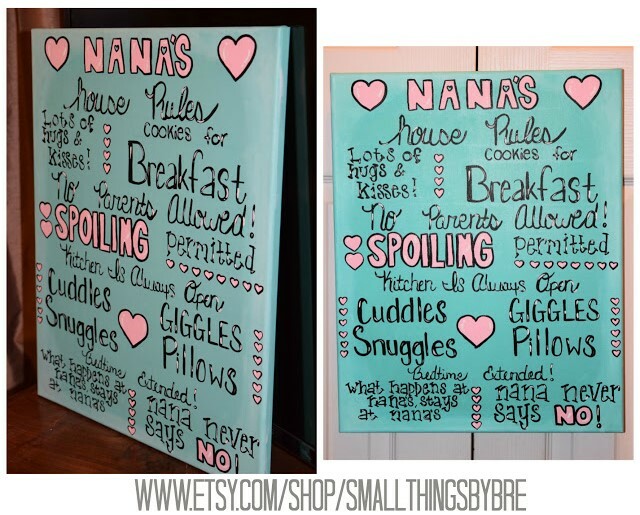 A personalized sign would make the perfect gift as well! 16x20. Nana's House Rules Sign. I can change nana to anything. I can also change the blue background to whatever you want, as well as the pink letters to whatever you want. This is $40! You can buy HERE. 19 styles in countless colors. They have bags for women, men, professional photographers, students, bags that will carry cameras and lenses, laptops, iPads, baby gear, and just about anything else you can dream up to put in your bag! They create beautiful bags that will protect your stuff and will keep you organized. 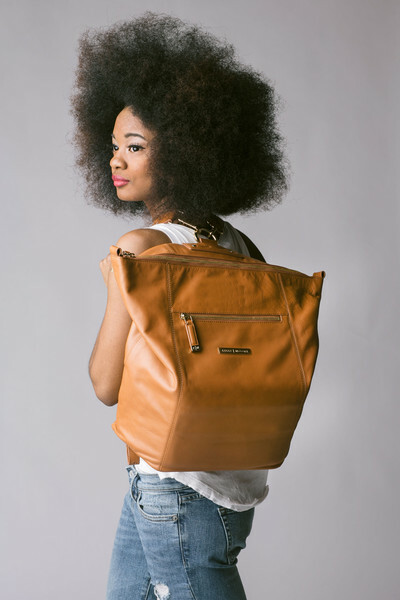 Pictured is the Kelly Moore Trenton Backpack. You can find it on their website for $485. Keep an eye out for more brands to be added up until Mother's Day! You gave us good ideas!